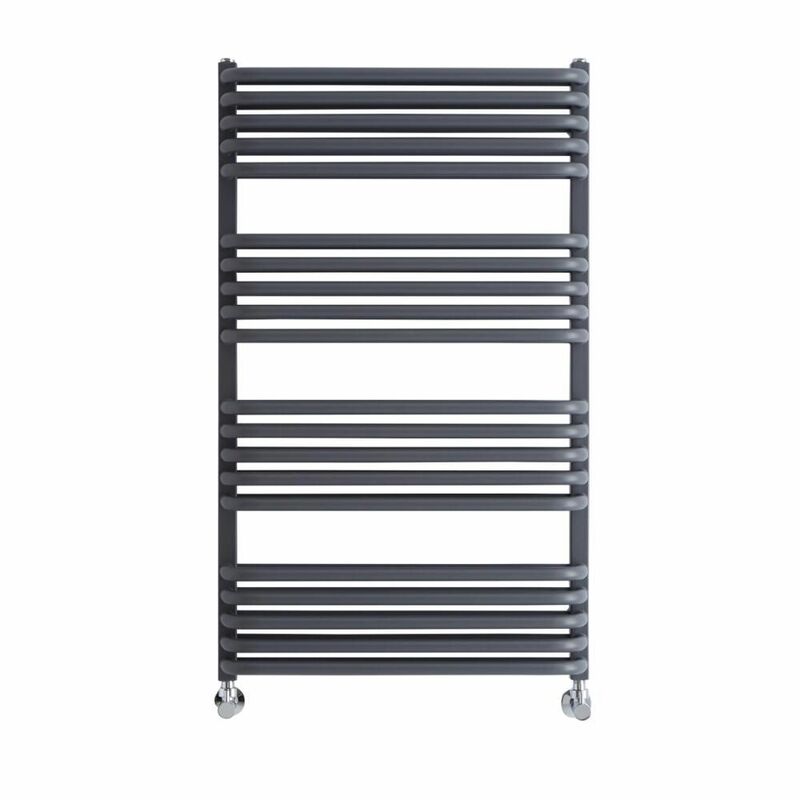 Enjoy luxuriously warm towels and create a stunning designer look with the Milano Bow 1000mm x 600mm anthracite heated towel rail. 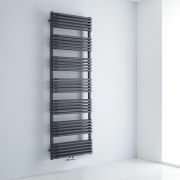 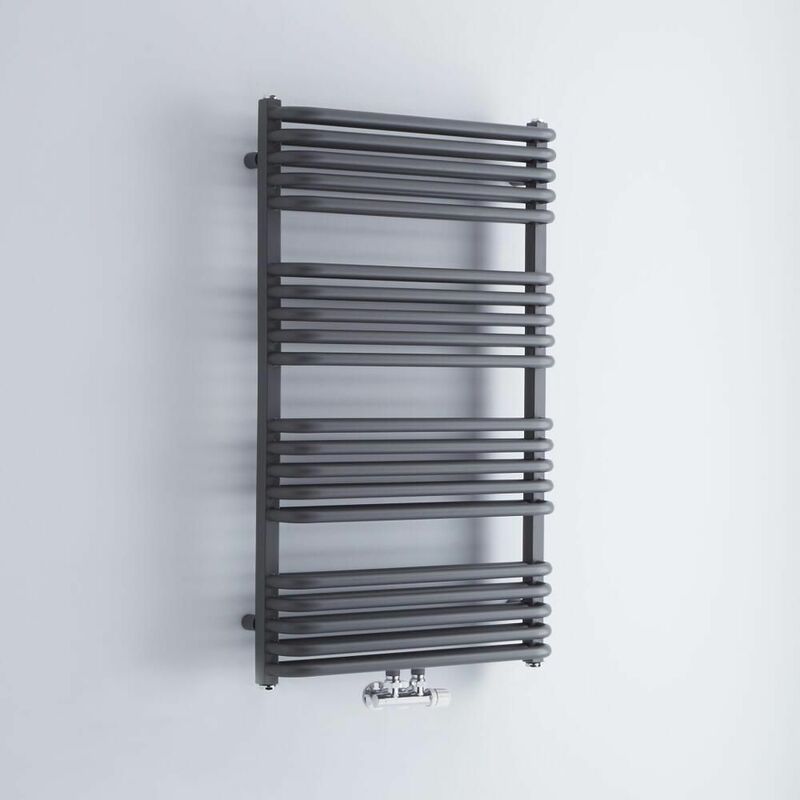 A great option for adding contemporary style to your bathroom, this heated towel rail features an on-trend anthracite finish and D-shaped bars. 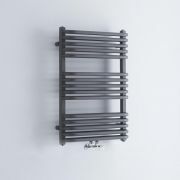 Boasting a high heat output, it provides a stylish and practical way to keep your towels toasty warm, as well as neat and organised. 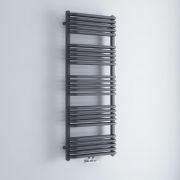 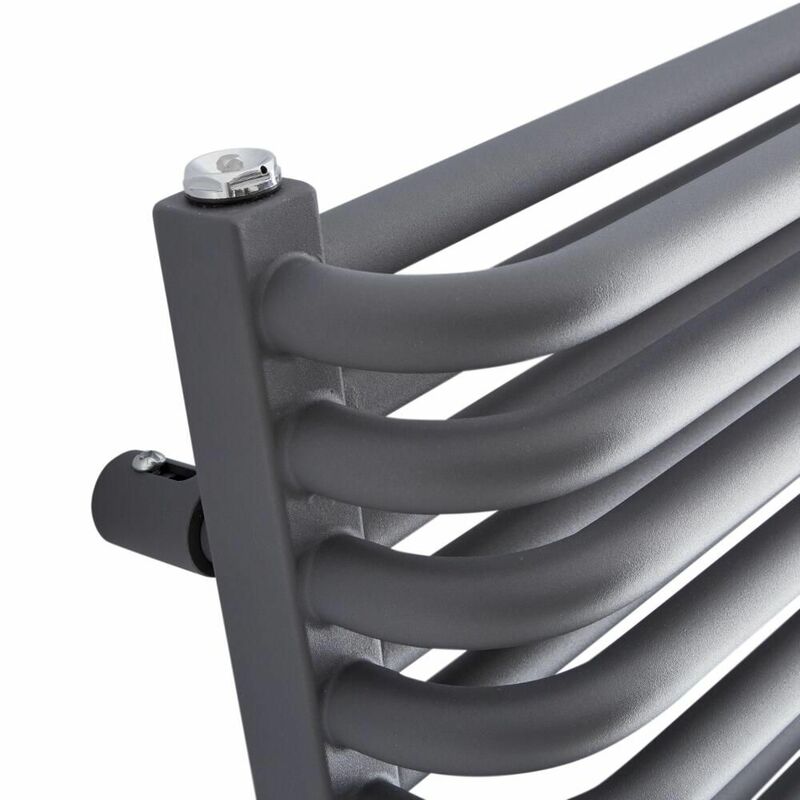 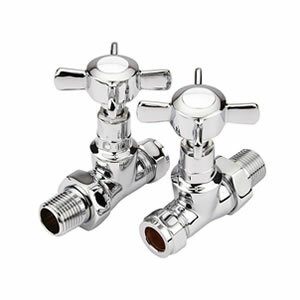 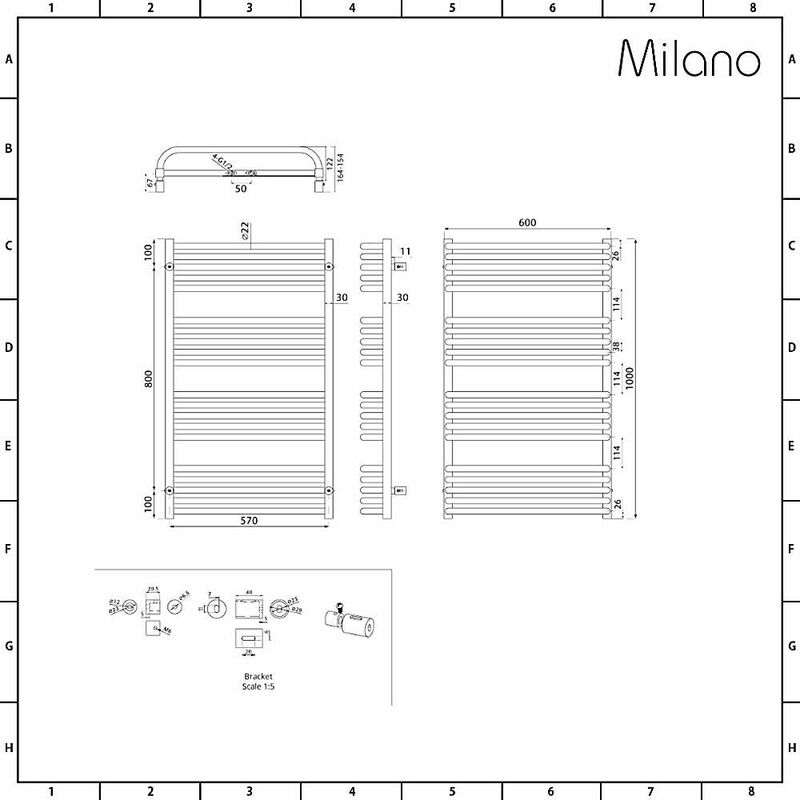 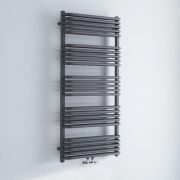 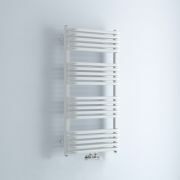 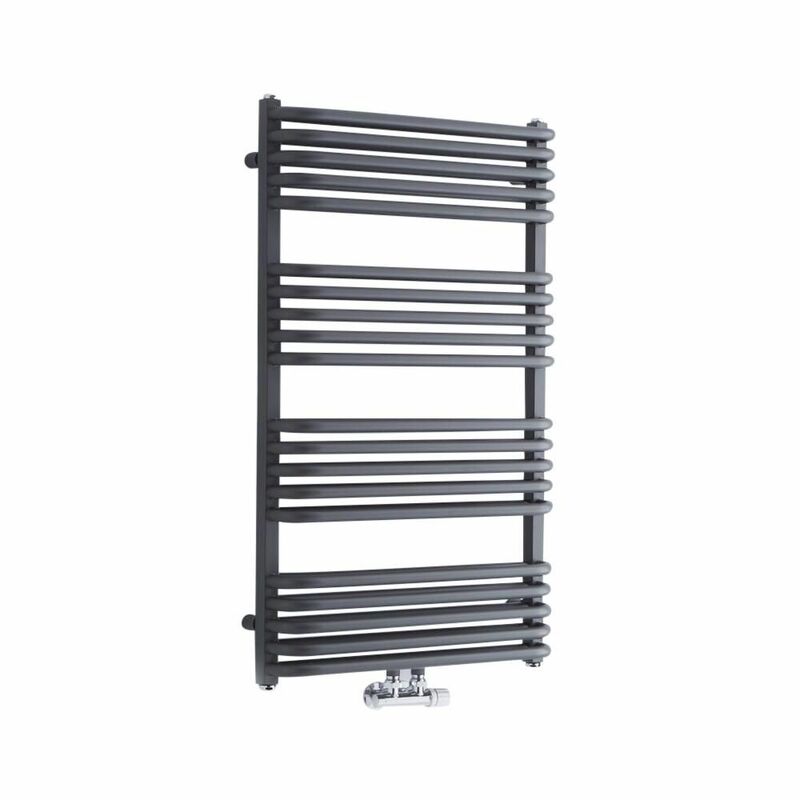 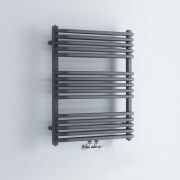 The central connection valve inlets help to save space, while the premium quality steel construction gives you a heated towel rail that will look and perform like new for years to come.